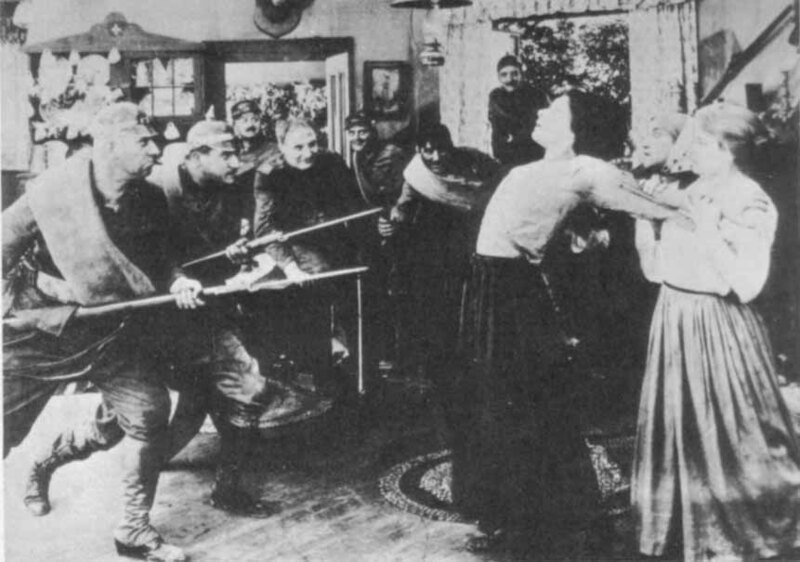 This photo depicts a scene from “War Brides,” an antiwar short play that Alla Nazimova took on tour in 1915 to great critical and popular acclaim. She used the play as the vehicle for her first film, also titled “War Brides,” which produced by Lewis Selznick in 1916. It is unclear whether this photo was taken with the cast of the play or the film.